Crest: A hand holding a sword, emerging from a crown. Motto Translated: Do and hope. 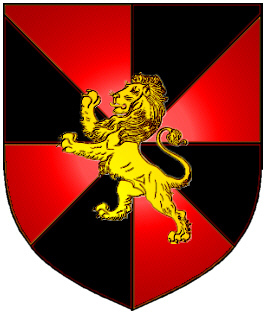 Coat of Arms: A shield divided gyronny of eight black and red with a gold lion rampant over all. 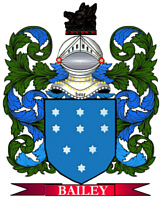 Motto: Fac et Spera. Motto Translated: Do and hope. First found in South-western England, where they were seated from very early times. In Ireland the Lion represented the 'lion' season, prior to the full arrival of Summer. The symbol can also represent a great Warrior or Chief. MATHEWS (British). Possibly a modern form of the ancient Irish name "MacMahon". MATTIOLI (Italian). Italian form of Matthew. Topic: the Danish surname MATHIESEN and variations, all ending in "-sen" (e.g., Matthiessen, Mathiasen, Matthysen, Mathesen, etc.